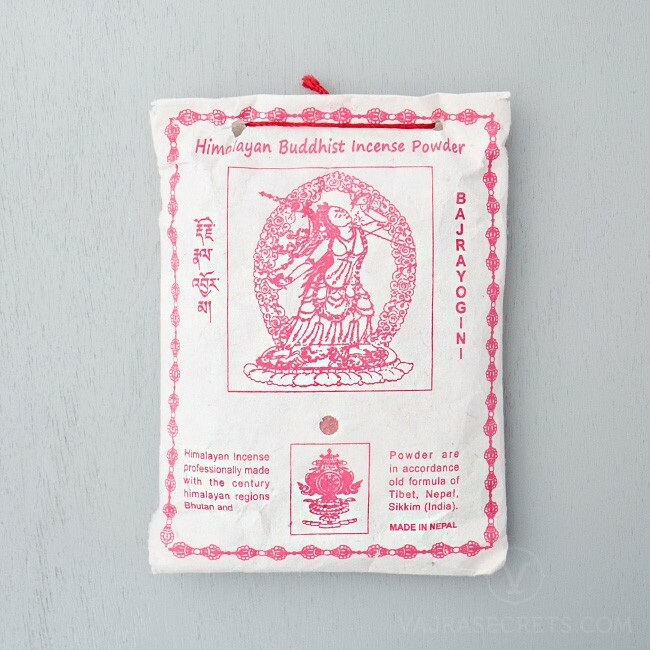 Vajrayogini Incense Powder is handmade from carefully harvested Himalayan herbs, oils, resins and spices in accordance with traditional methods and formulae. Primarily used during spiritual ceremonies and meditation sessions to purify the environment, to create a peaceful and calm atmosphere and as an offering to the Tantric Buddha Vajrayogini. Vajrayogini Incense Powder has been carefully hand-made to meet the highest standards of quality, following a strict formula found in an ancient traditional text. The principal ingredient is sandalwood which is combined with a variety of other medicinal herbs, oils, resins and spices from the Himalayan mountains. Prepared under the supervision of the eminent healing lama, H.E. 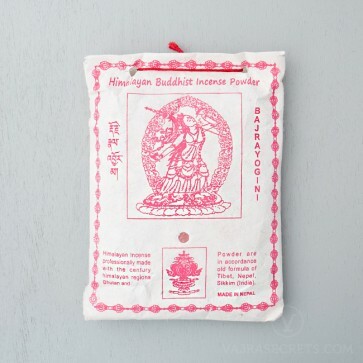 Gangchen Rinpoche, Vajrayogini Incense Powder releases a warm, rich and spicy aroma when burnt. It is an excellent offering to the Tantric Buddha Vajrayogini, invoking her powerful blessings, protection and presence during prayer. It was very pleasant and efficient ordering the Vajrayogini incense sticks and powder from you. The package arrived quickly, was well packed, and the incense is WONDERFUL!!!! Unlike anything I have seen in 45 years! I will most certainly be ordering more to provide to my Dharma friends.